Once known as Houdini for his multiple and improbable jailbreaks, Mark DeFriest was condemned to Florida’s worst prison after a lone psychiatrist reversed four court appointed psychiatrists and declared Mark was faking mental illness. 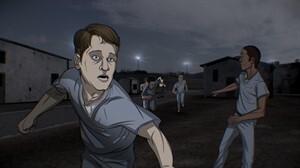 Over 30 years later, Mark is still struggling to understand how to survive a rigid and unforgiving system, while his remaining supporters forge an unlikely alliance to argue for his freedom in front of the Florida Parole Commission. Along the way, they uncover lingering questions about whether Mark should have even been sent to prison, yet face the daunting task of explaining why a notorious troublemaker deserves to go free.